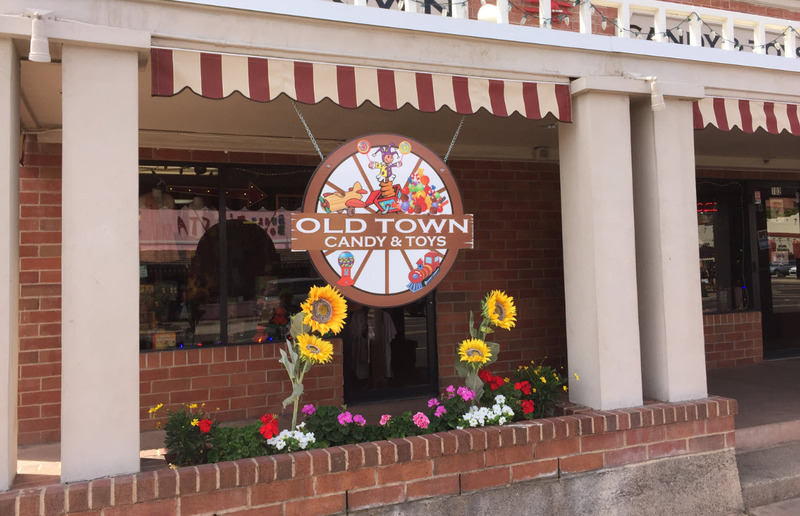 This charming sweet shop, located in Old Town Scottsdale, is sure to put a smile on even the sourest of Grinch faces. Featuring retro candy and toys, the store offers unique items and gifts in an entertaining, nostalgic atmosphere. Grandmas, Grandpas, Moms and Dads will find fantastic kids’ toys; including many classic books, science kits, ty’s Beanie Boos, a line of Melissa and Doug, and Arizona related items. Love the nostalgia and the atmosphere! It is a cool, old fashion candy store with some unique toys. Situated next door to Grimaldi's and across the street from the Sugar Bowl, this store is probably a child's dream come true and it's let's be honest, it's my dream come true too! Barrels filled with every type of candy imaginable line the walls and other candy is carefully placed throughout the rest of the shop. Small trinkets, books, and toys line the shelves as well.